Track Five Coffee, Cranford, 11 a.m.-noon. Retired and Senior Volunteer Program (RSVP) of Union County information program hosted by Jewish Family Service of Central NJ. 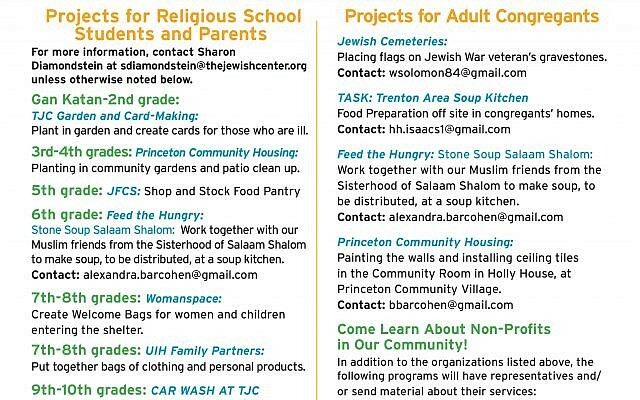 Contact Amy Levine at ALevine@jfscentralnj.org or 908-352-8375.